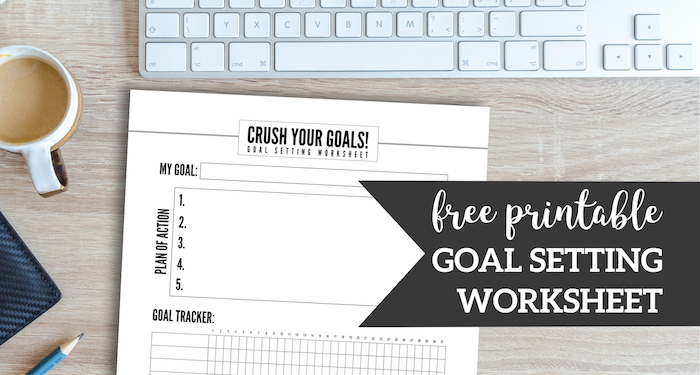 Set goals and resolutions for the new year or keep track of your goals throughout the year with our free printable goal setting worksheet. 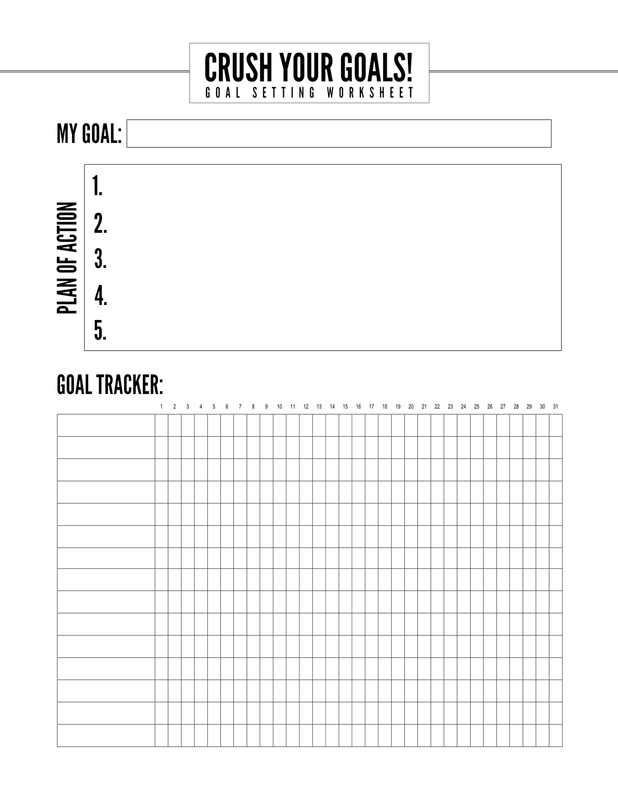 Set your goal, come up with a plan of action, and track your progress all on the same goal setting worksheet. 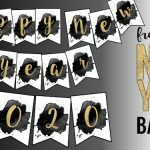 Crush your goals! You got this! 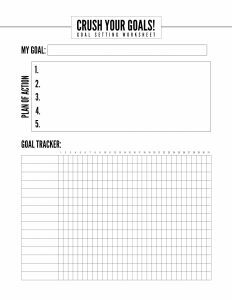 Great for health and fitness goals, family goals, goals for kids, and personal goals. 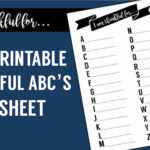 Don’t forget to check out PicMonkey a free trial of their website and you can easily customize these free printable goal setting worksheet. If you want a little more guidance then check out our tutorial on how to use picmonkey. 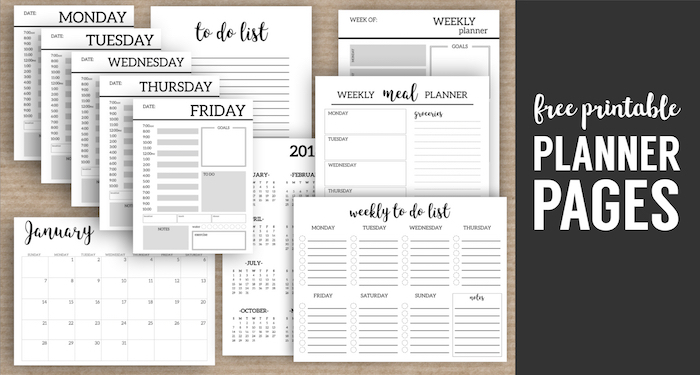 Print more planner pages to get yourself organized with our coordinating planner printables. 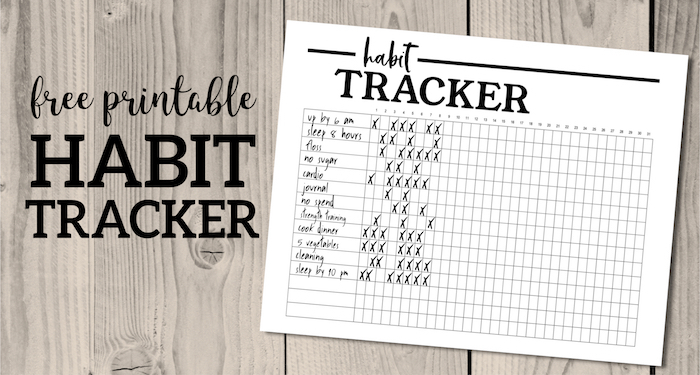 Print this habit tracker to keep track of your goals, new year resolutions, or to just keep a chart to look back on. 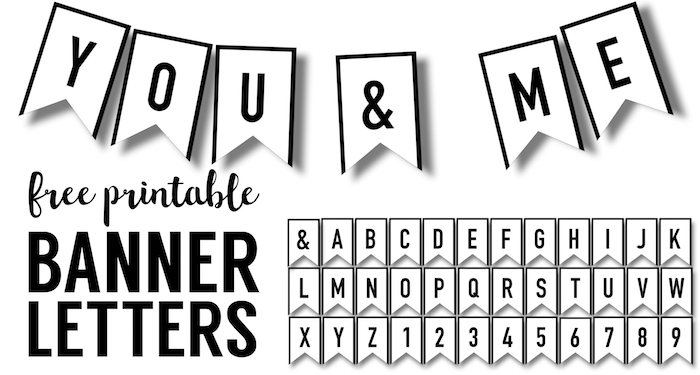 Print any banner message that you need with our complete alphabet, numbers, and symbols banner template.